14th January 2018 - Annual General Meeting - Venue Fort Fitness Sliema at 10:00 am. 6-8th April 2018 - MFBBF National Championships - Venue: Dolmen Resort Hotel, Qawra. 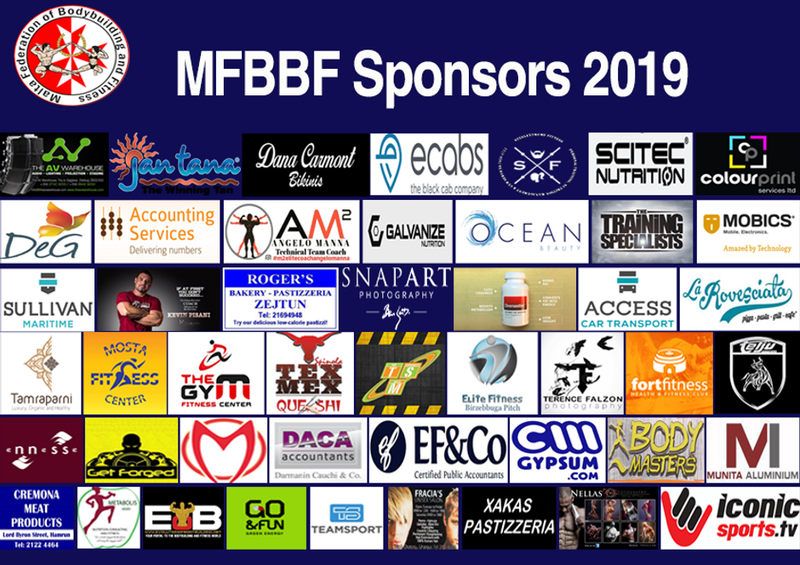 25th August 2018 - The Battle 2018 - ACE & IFBB Autumn Season Qualifier - Venue: Fortress Suite, Corinthia Hotel, St George's Bay, St Jullians.